Apple’s iPhones are a big business in China. 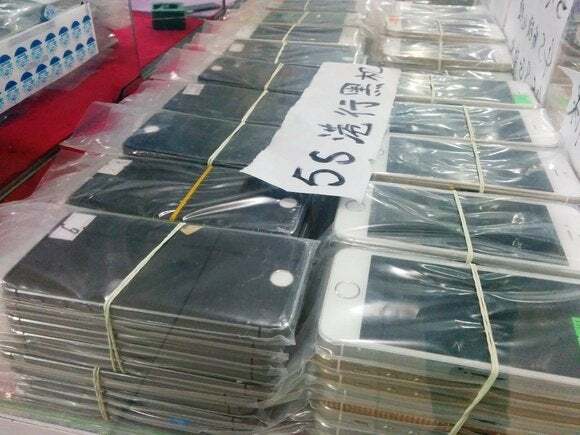 So big that an alleged supplier of knock-off iPhones in the country produced at least 40,000 units, before local police shut down the massive operation. Beijing authorities have arrested nine suspects, and confiscated over 1,400 fake handsets of different brands, as part of an investigation into the supplier, the city’s police force announced on Sunday. The supplier, based in Beijing, allegedly established one of the largest knock-off phone operations found in recent years, according to the police. Since January, the supplier produced over 41,000 fake iPhones, along with 66,000 smartphone circuit boards, for a value of over $19.7 million. In addition to smartphones, the supplier had also manufactured over a million imitation handset accessory units. Beijing police began its investigation after a batch of fake smartphones were found shipped to the U.S. Chinese authorities then found that a 43-year-old man, surnamed Yu, and his wife had set up a factory in Beijing back in 2011, geared toward electronics repair. 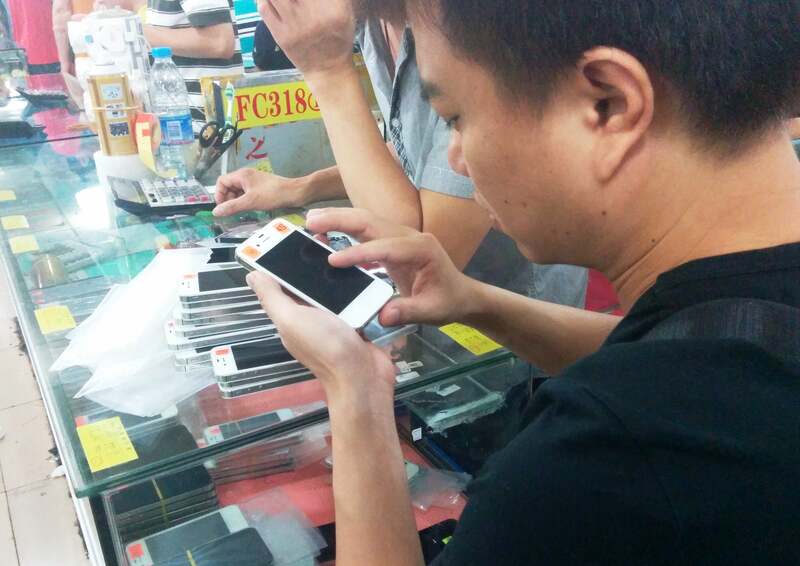 A merchant inspecting an iPhone for quality. The factory employed hundreds of people, and was specialized in taking discarded motherboards from old phones, and then repackaging them into new casings, for sale as knock-off handsets. Large quantities of these old motherboards came from outside China. To supply the casings, the factory relied on material shipped in from the Chinese city of Shenzhen that was labeled with brand names. These fake phones were then exported to foreign countries, the police added. The knock-off operation goes to show the large scale of the fake smartphone business in the country. China is not only a major producer of handsets, but it’s also a major site for the world’s electronic waste, with shipments of discarded products coming from across the world. Since April, Beijing police has stepped up its enforcement of intellectual property, although knock-off products have long been a staple in China’s electronics markets. At the same time, local suppliers in the country have also been seeking to cash in on the iPhone’s popularity. Both new iPhones, and even older ones are in demand. In Shenzhen, for instance, an entire mall has been set up devoted to selling secondhand iPhones that are refurbished for resale.